I Feel better and Pretty! It is that time of year where we all seem to THINK PINK and are reminded of Breast Cancer Awareness month.I just went for mine and I feel so good.It really doesn’t hurt and it is quick and good for your health. Afterwards I treated myself to some beautiful colorful bras. Take care of yourself if you don’t who will? Have you had a physical lately and booked your mammogram dahlings? 1. Buy them a joke book or funny movie. 2. Make soup or a nutritious dinner for them and their family. 3. Send them cards every month or week that they are sick. 4. Offer to take the caregiver to a movie or sports event or look after the patient to give the caregiver a break. My husband is so worried about me. He has been at my side every doctor’s visit. He has see me in pain and not being able to walk. It scares him. He needs a break. 5. Buy a novel for them to read. 6. Give them your eyebrow kit. 7. Buy them a cotton blend scarf to wear. 8. Give them a facial. 9. Send them a fruit basket. 10. Call them every one or two weeks. 11. Give them a gift certificate for a massage. 12. Send them a prayer card. You get the idea, send a little kindness. the patient and caregiver need LOVE and random acts of kindness too! I did too!Breast cancer or any other kind of cancer can not only changes your body it can really change your mood and skin. From dehydration to red splotches, dry patches or no hair. As a breast cancer survivor, myself. It can happen not only IN your breast you have to worry about, it appearing ON your breast. A few years ago, I was diagnosed with skin cancer. Not very common for women. It is mainly found in men, especially ones who work and play outdoors without a shirt. I found a spot that looked like a beauty mark on my right breast out of the blue. It was never there before so I immediately booked an appointment with my dermatologist. After a biopsy, my doctor advised I get Mohs surgery. It was a long painful ordeal and the morning of the surgery, yet another spot popped up right next to the other one. I was a mystery to them, as typically dark haired women do not get it. Beauty pearls of wisdom from one girl to another:Have a mammogram and a complete face and body skin check up too. Cancer is a very sneaky disease. It has many members and a club that I did not want to ever join. While my results were Sqamous cell carcinoma and not Melanoma, they were able to remove it all. It could have been worse. When you have breast cancer or any kind of cancer even applying makeup or brushing your hair can be a chore. You just do not feel like primping! When you are not up to your usual beauty routine, here are some tips to help you feel and look the best you can…quick! · Simplify your routine! You do not have to apply a full face of makeup. Skip the foundation and opt for a tinted moisturizer or a light formula foundation. Apply with a sponge that is damp, not dry, as it will make your skin look better. Even a moisturizer will do the trick too. · Buy a rich, decadent face and body cream. It is important to keep hydrated via drinking water and moisturizing your whole body, including your face. · Your makeup needs some staying power, as your body chemistry is different now. Try some rice powder, it sets makeup, makes it last longer on your face and helps the colors true. 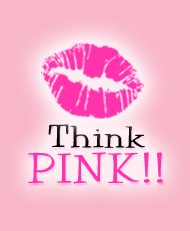 · When you have cancer, your skin loses its luster. Try out a shimmer face powder or stick. It will make your skin have a luminescent finish. · Buy pretty lip-glosses, lip balms or lipsticks. I believe lipstick is magic and helps bad days become better. A swipe on the lip and not on your hips is a beautiful thing! · Find a beautiful hand mirror and don’t use a 5x or 10 x magnification mirror do not scrutinize your every pore. · A tinted brow gel is great if you lose your brows. · Make blush your BFF as it is really going to boost your looks and adds color to your face! · Buy yourself some pretty sheets or loungewear. I wore a yoga pants set; it felt so much nicer than just wearing a nightgown all the time. · Surround yourself with a scented candle. Lavender soothes and calms you down, vanilla makes you happy, rose and citrus scents offer the feel good factor. · If you can add baths to your life especially if you are a shower gal, go for it. A massage therapist once told me, and it stayed with me forever, a bath in Epsom salts can do wonders for your health. It is an old fashioned healthful addition to your bath water. Float your cares away. It really relaxes your muscles and detoxifies too. Don’t be so hard on yourself. Now is the time to take extra care of your body, mind and spirit! Stay well and be strong…YOU are Gorgeous and an amazing woman! I love to hear from you…if you need me call or e-mail me. I care about you and your beauty health too! Tweezers,brush,mirror and brow bursh/lash comb…beautiful brow bliss! Beyond cute it is like the size of a business card. Great for travel. This comes from my makeup studio in sunny Florida. A pretty gift for you or someone who has had breast cancer. Share the love! Take care of yourself if you don’t who will?